BeansLive - Secure and Reliable hosting with everything you need to have a successful website! "You've got enough things to keep you up at night. 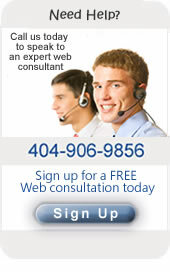 Your website shouldn't be one of them." BeansLive.com's secure and reliable web hosting services provide everything you need to have a successful website, including the backing of our first rate tech support team. Our website and e-mail hosting services include set up of Google Analytics to provide you with accurate reports that organize your traffic data. We provide redundant hosting servers and perform daily backups to ensure recoverabilty in the event of a catastrophic hardware failure. You can also gain flexible e-mail access from anywhere in the world through a browser. Our servers are colocated in a secured building with 24 hour a day, 7 day a week monitoring. There are security guards guarding the building and three independent pipelines feeding the building for power and communication redundancy.